Mung beans are versatile. Mung beans have a mild taste. 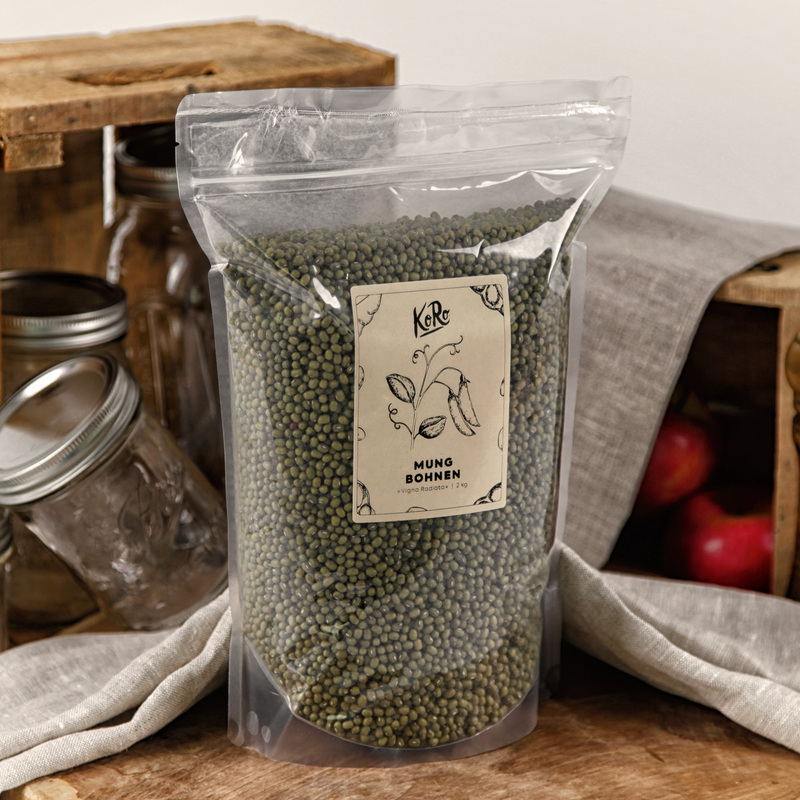 Mung beans have a high fiber content. Originally the mung bean comes from India. It is known as Dal. Today, our green treats are grown in Southeast Asia and consumed worldwide. In India, the Dal is considered a staple food. Great in salad, stew or as a side dish. It is also the basis for the production of glass noodles. The taste of mung bean is mild. They come in a 2 kg pack and must be soaked in water before consumption. Spuren Description of nutrition traces"
How can I make my mung beans sprout? It's best to invest into a germination tray, you can find them in supermarkets. Soak it in water the night before and decant the water in the morning. Afterwards put the mung beans onto the tray and let them sprout their magic. Where do mung beans grow? Mung beans are a plant which grows up to 150cm tall and the stems are very hairy and herbaceous. Keimen/Sprossen gut, kaum halbe oder kaputte dabei und schmecken uns sehr gut.